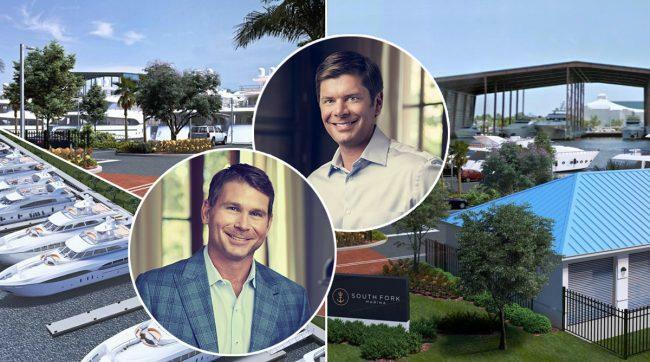 Alabama developer Hix Snedeker Companies is heading to the Fort Lauderdale City Commission later this month seeking final approval of a roughly $25 million marina project. Hix Snedeker is under contract to purchase the site of the planned South Fork Marina at 1500 Southwest 17th Street. On Tuesday, the commission approved a zoning amendment for the project. Tripp Scott attorneys Stephanie Toothaker and Daniel Taylor represented the developer. As planned, the open-air marina will have 34 boat slips that could fit yachts up to 155 feet long – a hallmark in Fort Lauderdale, which draws in boating crowds from around the world during its annual boat show. The mega-yacht marina would be able to accommodate up to 55 vessels. Hix Snedeker also plans to build a 2,400-square-foot storage building with 16 bays and a 1,553-square-foot clubhouse with office space. The property sits across from the Lauderdale Marine Center repair facility. The commission will have the final vote on Nov. 20. If approved, Hix Snedeker plans to break ground early next year and deliver the marina project during the summer of 2020, chief operating officer Colby J. Cooper said. Hix Snedeker is under contract to purchase the property from Pier 17 Investments 2014 LLC. The seller paid $5.75 million for the site in 2014, after the Pier 17 Marina and Yacht Club fell into foreclosure. The entity is affiliated with developer Nathan Cox, who heads the Alabama-based real estate and holdings company 68 Ventures. Cox originally proposed building a $50 million marina project called Harbour Twenty Six. Though it was approved in 2015, it was never built and Cox hired Colliers International South Florida to list the site. Strong pushback from neighboring residents also stalled the project.